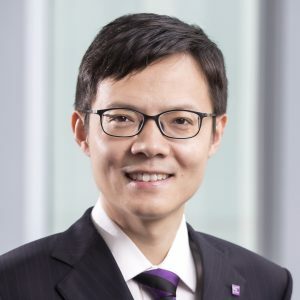 Prof. Xiting Gong is an Assistant Professor in Department of Decision Sciences and Managerial Economics, The Chinese University of Hong Kong (CUHK) Business School (since August 2017), and Department of Systems Engineering and Engineering Management, Faculty of Engineering (since July 2013), CUHK. Prior to joining CUHK, he was a postdoctoral research fellow at The University of Michigan from August 2010 to May 2013. He received his BSc in Applied Mathematics in 2004, and his MA and PhD in Management Science in 2006 and 2010, all from Peking University. His main research area is logistics and supply chain management; and his recent research interests include stochastic inventory theory and applications, revenue management and pricing, and approximation and data-driven algorithms. K. Fu, X. Gong and G. Liang (2018), “Managing perishable inventory systems with product returns and remanufacturing,” accepted by Production and Operations Management. X. Chao, X. Gong, S. Chi, C. Yang, H. Zhang, and S. X. Zhou (2018), “Approximation algorithms for capacitated perishable inventory systems with positive lead times,” Management Science, 64(11), 5038-5061. T. Wang, X. Gong, and S.X. Zhou (2017), “Dynamic inventory management with total minimum order commitments and two supply options,” Operations Research, 65(5), 1285-1302. X. Chao, X. Gong, S. Shi, and H. Zhang (2015). “Approximation algorithms for perishable inventory systems,” Operations Research, 63(3), 585-601. X. Gong, X. Chao, and S. Zhang (2014). “Dynamic pricing and inventory management with dual suppliers of different lead times and disruption risks,” Production and Operations Management, 23(12), 2058-2074. W. Zhou, X. Chao, and X. Gong (2014). “Optimal uniform pricing strategy of a service firm when facing two classes of customers,” Production and Operations Management, 23(4), 676-688. X. Gong, X. Chao, and D. Simchi-Levi (2014), “Dynamic inventory control with limited capital and short-term financing,” Naval Research Logistics, 61(3), 184-201. X. Gong and S. X. Zhou (2013), “Optimal production planning with emissions trading,” Operations Research, 61(4), 908-924. X. Gong and X. Chao (2013), “Optimal control policy for capacitated inventory systems with remanufacturing,” Operations Research, 61(3), 603-611.